The Sunday Salon: We're Home! Hello, friends. It sure has been a while! We had a wonderful vacation... Santa Fe, a family wedding in Denver, Rocky Mountain National Park, Steamboat Springs, and a quick visit with our daughters in NYC. Now I'm exhausted, but happy. And as always, I didn't read as much as I'd hoped. 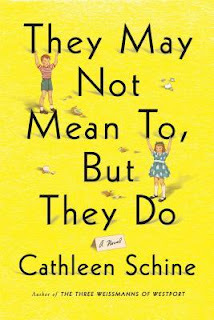 My book club will discuss this book at the end of August, but I finished listening on our first flight. I first picked it up several years ago and never got into it, so decided to try listening this time - definitely the right move! Lisette Lecat is a familiar voice (she narrates The No. 1 Ladies' Detective Agency series) and I ended up enjoying it enough to add Fuller's next book, Cocktail Hour Under the Tree of Forgetfulness, to my audio wish list. Look for my review after the meeting. 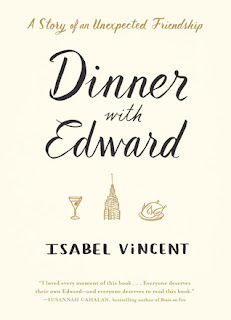 This was an impulse purchase from an indie bookstore (Off the Beaten Path) in Steamboat Springs, CO. A feel-good nonfiction title about life, love, and friendship... with a foodie twist. I finished reading it on the flight from Denver to NYC and will post a book brief soon. I started this on the train home from NYC yesterday... downloaded from my library just prior to boarding. An academic setting is always appealing and I couldn't resist the blurb: Finally a novel that puts the "pissed" back into "epistolary." At the 60% mark, I'm finding it pretty entertaining. 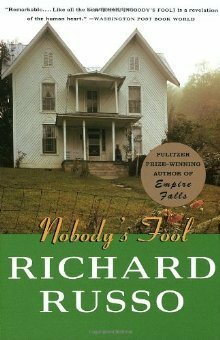 I loved Nobody's Fool and wanted to keep the momentum going by continuing the series while characters and events are still fresh in my mind. So far it's another excellent novel by Russo... and another wonderful audio production, too. What's new with you? Did you read any good books while I was away? 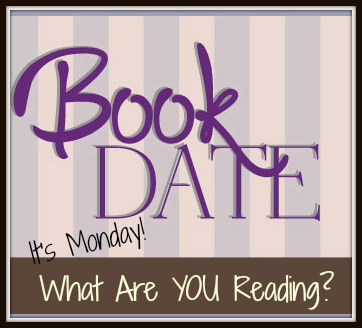 Book Brief: Drop What You're Doing and Read SHELTER! 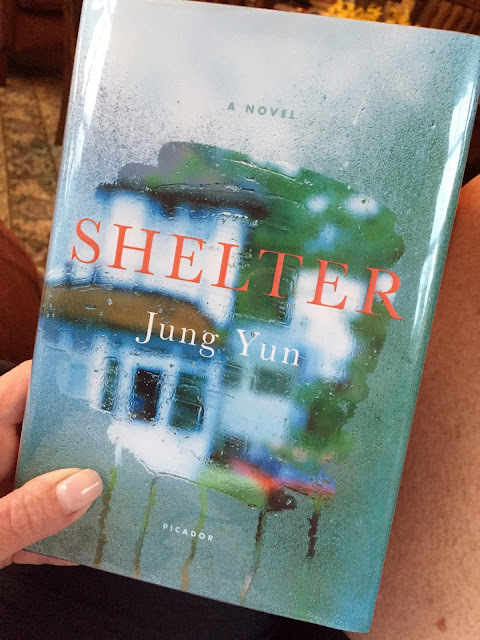 As Shelter veers swiftly toward its startling conclusion, Jung Yun leads us through dark and violent territory, where, unexpectedly, the Chos discover hope. 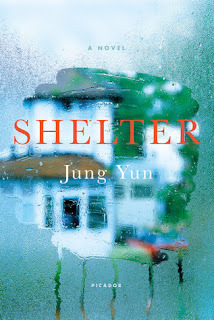 Shelter is a masterfully crafted debut novel that asks what it means to provide for one's family and, in answer, delivers a story as riveting as it is profound. Definitely on the dark side! Domestic abuse, a violent crime, family dysfunction, and culture clash... this book was a real page-turner that surprised me several times. I especially loved the ending. 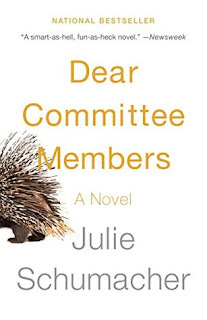 Recently long-listed for the 2016 Center for Fiction First Novel Prize, I hope it wins. Sunday morning. The month is flying, but the week has been long. Our air conditioning was finally repaired on Tuesday (after FIVE service calls), so my mood is much improved. Our daughters managed the move into their new apartment in Manhattan with only one or two frantic texts to Mom. This is a milestone... the first time we have not been present for a move. I guess that means they've got the hang of this 'adulting' thing! We're leaving for vacation on Tuesday, so I'll be taking a blogging break for the rest of the month. I've wrapped things up here with a series of mini-reviews for my recent reads. They'll never get done if I wait until next month, plus it will be nice to come back with a clean slate. Nobody tells a story like Richard Russo. 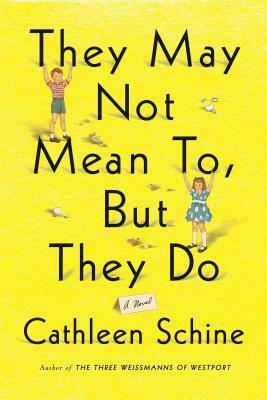 Set in rural upstate NY in the 1980s, this IS small-town blue-collar life, with all the rough edges and political incorrectness. 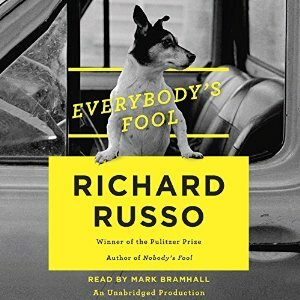 I loved every page of this book and will read the sequel, Everybody's Fool soon. The audiobook, narrated by Ron McLarty, is my favorite so far this year. I'll have to make a decision on the next audio before we leave. Should I go straight to Everybody's Fool or take a brief detour to Belgravia by Julian Fellowes? Simply amazing! I stayed up way too late Friday night to finish this book. I'm posting a book brief tomorrow, but go ahead and get on your library hold list right now. 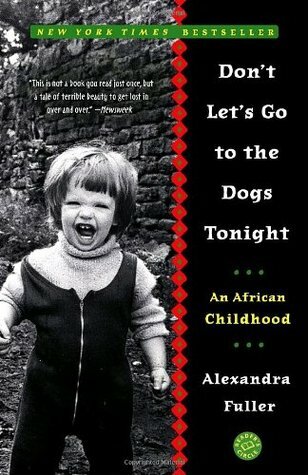 This memoir, subtitled An African childhood, is our August book club selection. It tells Fuller's story of growing up in rural white Rhodesia as it is becoming Zimbabwe. It's unlike anything I've read and the narration is wonderful. This book is ready to be picked up at the library, but I don't think I'll start it before we leave. Who want to take a library hardcover on vacation? My kindle is loaded , so there are plenty of other options. The problem will be choosing which one to read first. Have you tried Cauliflower Fried Rice yet? I finally made some this week and it was delicious... not exactly rice, but you'd never know it was cauliflower either. My cousin sent me a recipe (not sure of the source), but here is one from skinnytaste that looks similar. Wegmans even sells it already 'riced' and ready to prepare at the fresh veggie bar. Vacation starts Tuesday! We're flying to Santa Fe, then driving up to the Denver area for a family wedding, and on to the mountains for a little relaxation. We'll fly back to NYC to spend some time with our daughters and check out the new apartment... and eventually take the train home. It's a lot of ground to cover, but that's how we roll. I'll see you back here next month... and will be around on twitter, instagram, and litsy in the meantime. 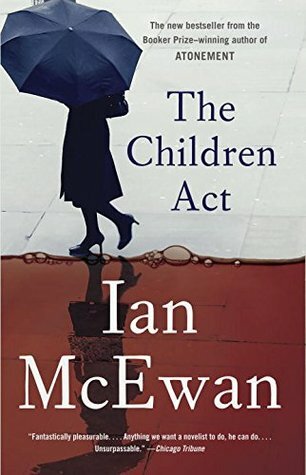 I wavered between 4 and 5 stars, but decided to go with five because the novel is so discussion-worthy... and it's McEwan. When a medical procedure goes horribly wrong and famous actor Ralph Meier winds up dead, Dr. Marc Schlosser needs to come up with some answers. After all, reputation is everything in this business. Personally, he's not exactly upset that Ralph is gone, but as a high profile doctor to the stars, Marc can't hide from the truth forever. It all started the previous summer. Marc, his wife, and their two beautiful teenage daughters agreed to spend a week at the Meiers' extravagant summer home on the Mediterranean. Joined by Ralph and his striking wife Judith, her mother, and film director Stanley Forbes and his much younger girlfriend, the large group settles in for days of sunshine, wine tasting, and trips to the beach. But when a violent incident disrupts the idyll, darker motivations are revealed, and suddenly no one can be trusted. As the ultimate holiday soon turns into a nightmare, the circumstances surrounding Ralph's later death begin to reveal the disturbing reality behind that summer's tragedy. 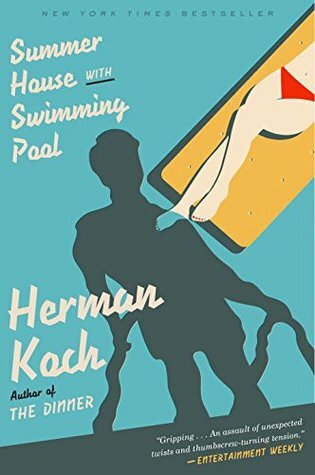 So dark and full of tension, Herman Koch knows how to make his readers squirm! This novel features a creepy, unreliable narrator, many unlikable characters with questionable moral values, and a gripping, twisted story. I was pulled in right away and read the book in two sittings. I'm looking forward to his new book, Dear Mr. M: A Novel coming in September. 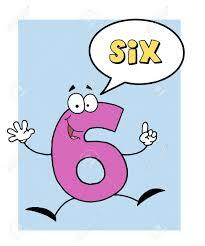 It's time for Six in Six again! Jo at The Book Jotter created this meme several years ago. 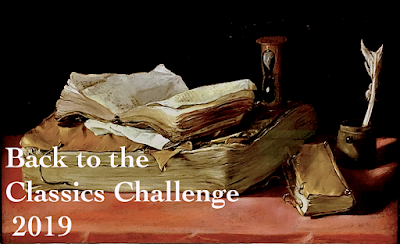 The purpose is to help to summarize six months of reading by sorting books into six categories. Choose from the ones Jo suggests or come up with your own... and it's okay to use the same book in multiple categories. 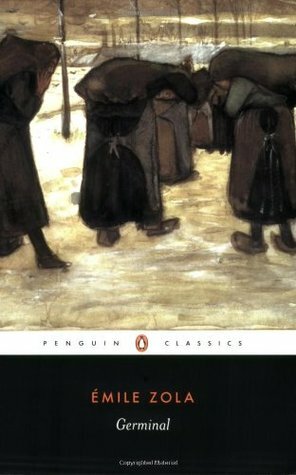 6. something by Anthony Trollope... so many choices! Let me know if you decide to play along! The boy is standing in the doorway again. He's smiling, which hardly seems right. A smile means he's not sick. He didn't have a bad dream. He didn't wet the bed. None of the things he usually says when he enters the room uninvited. Kyung nudges his wife, who turns over with a grunt, face-first into her pillow. He sighs and sits up, rubbing the sleep from his eyes. "What's wrong?" he asks. "What's the matter?" Ethan, still smiling, takes a step forward, holding a remote control in his outstretched palm. "Battery," he says, pronouncing the word "buttery." You can tell this will be a family story from the first few paragraphs, but the primary focus may not be on this family unit. The relationship between Kyung and his parents, who live nearby, will take center stage, at least according to the blurb. The first twenty pages are quite dramatic and there's no question as to whether or not I'll continue... I'm already hooked! Good morning, friends. Sorry about my recent disappearance, it was totally unintentional... life just got in the way. Our 4th of July weekend was amazing, but exhausting. We hosted gatherings/dinners on Saturday, Sunday, and Monday, entertaining 20 - 30 people each day... mostly family, and a few friends. Thankfully everyone helped with the food. Everything was perfect, even the weather, but by Tuesday morning I was ready to collapse! We've also been without air conditioning. After FOUR service calls in ten days, it is still not working. A new fan motor was finally ordered and will (fingers crossed!) be installed on Monday. I was a hot, cranky mess much of the week. Thankfully, we have a reprieve today. It's cool and rainy... what a relief! Things may get ugly again if that new motor doesn't solve our problem. Heat and humidity are forecast to return with a vengeance this week. 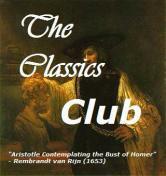 What a wonderful, thought-provoking novel! McEwan never disappoints. I'll post a book brief this week, and already have plans to read Amsterdam soon. Yes, I'm still listening to this one. Despite the slow progress (the audio is over 24 hours long), I am loving every minute and in no hurry to reach the end. But with under three hours to go, that will happen within the next day or so. 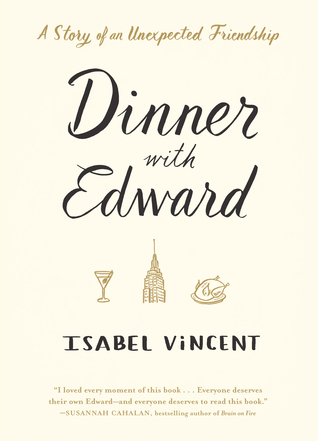 This book has gotten rave reviews from several trusted bloggers. My library hold came in on Friday, and I plan to get started this afternoon. Planning/packing for vacation (Santa Fe, then on to a wedding in CO) is top priority, but we're also having a couple of windows replaced... and, of course, the continuing saga of the air conditioning. 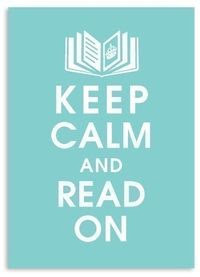 I'm hoping that means there will be plenty of time to read! Daughter #1 and Twin A move into their new apartment in Manhattan this week. Daughter #1 has hired movers for the 50-block trek uptown. Twin A is clearing out her room here at home. She'll have plenty of time to get settled before beginning her new job next month... exciting times! Unfortunately, I have to wait until after the wedding to see their new place.